Join us in Belize this summer for Yoga Teacher Training - Save $100 off Through 4/30 Here! NEW TO GOYOGA? TRY US 10 DAYS FOR $10! 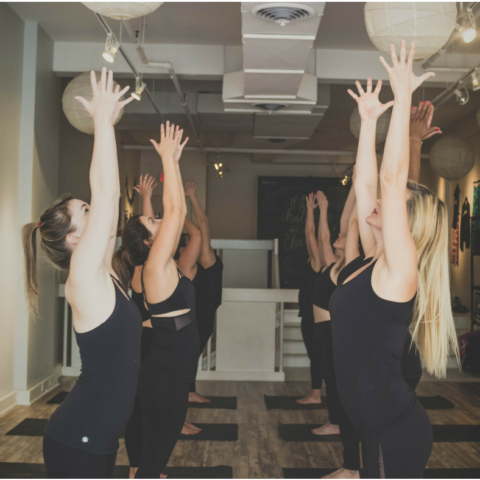 At GoYoga we promise the best variety of classes, taught by friendly and knowledgeable instructors in a welcoming environment. Whether you are a new beginner or have been practicing for years, we have options for those who are looking to relax and de-stress or build balance, strength and sweat a little too! Transform your yoga practice into a powerful rhythmic experience as you move to the beat of live drums played by talented musician and yogi, JoJo Fastrich. Connect to the vibrations in the room as we move in harmony with the music, sync up our movements with our breath and get carried away in the amazing energy of this dynamic experience! *This will be in a flow format and is accessible for all levels. What started as a small passion project has turned into a thriving family of 7 yoga studios spanning Columbus. I started this because I simply wanted a place to practice that felt welcoming, friendly and didn’t break my growing family’s bank account. During a yoga practice 8 years ago, a vision appeared in my mind of the place where I knew I could enjoy the transformative benefits of yoga. From that day forward, I’ve been committed to bringing that vision and that place to life for others to enjoy, too! Within 6 months I “stumbled” upon a space in Powell and within days we had our first dedicated 1200 square foot space (which has since expanded into 6000 square feet). From there, the doors began to open, the people kept coming, I gained a business partner (Carrie), and we grew into a team of passionate instructors and support staff who all share a common goal of inspiring people to live healthier, happier and more balanced lives. We are filled with gratitude every day to be able to serve our community in the way that we do. Thank you for being a part of our journey!